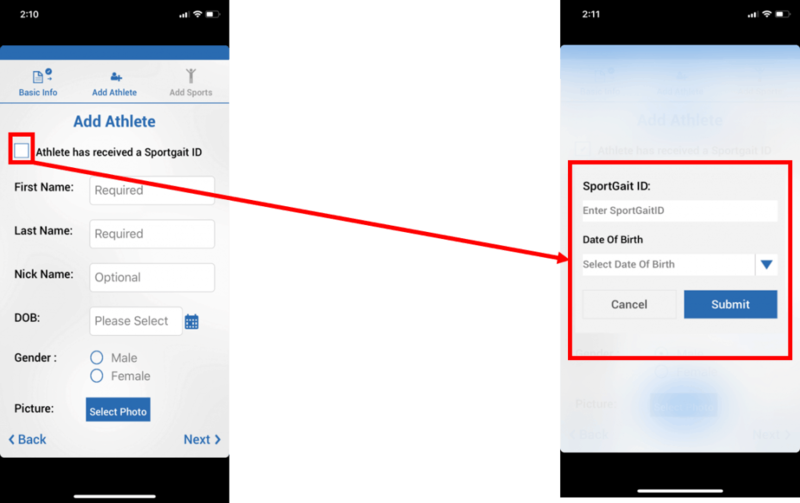 How do I create a SportGait Mobile account? 1. 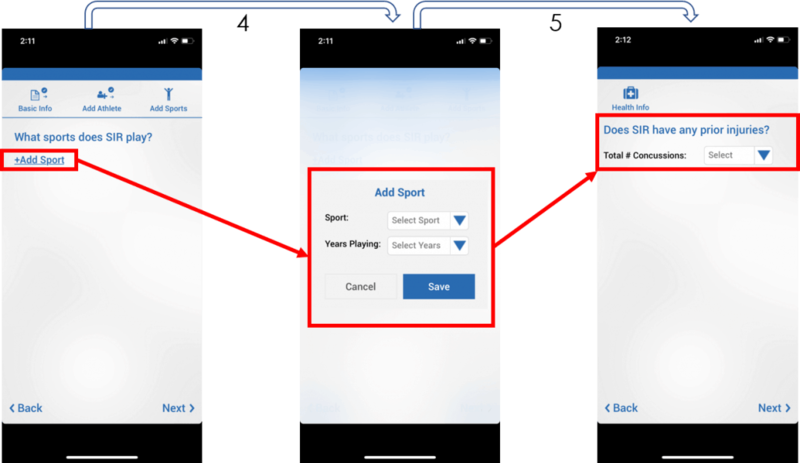 Open the SportGait Mobile app and select “Create Account”. 2. Enter your email and password. Click “Sign Up”. 3. Enter in basic Information, including first and last name, zip code, and phone number. You can also upload a photo of the athlete for easier identification. Check the box labeled “Athlete has already received a SportGait ID”. 4. Choose the sport(s) that the athlete participates in, and how long they’ve been playing for. 5. Enter the number of previous head injuries that have occurred in the past. The account has now been created, and you can now navigate the application to log HITs, evaluate concussion signs & symptoms, locate nearby SportGait-enabled medical providers, and much more.